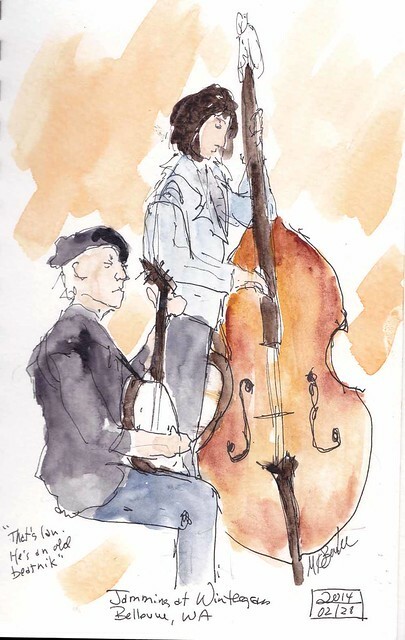 The "Friday Sketchers" ad hoc outing was to sketch at Wintergrass, a local bluegrass festival. There certainly was a lot of jamming in the hall ways! Two musicians in a jam session. 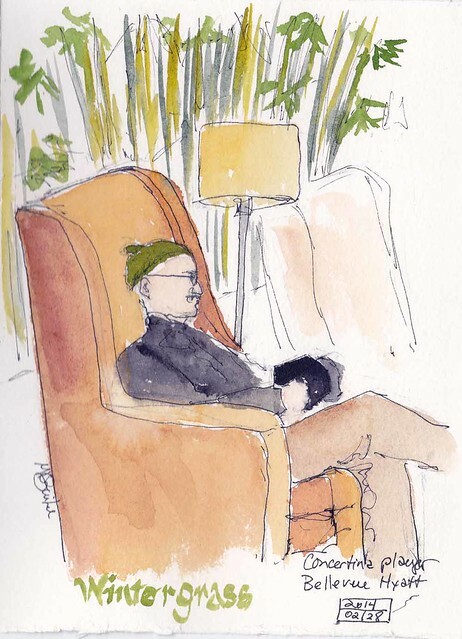 My first sketch of the day.... a concertina player in the lobby playing by himself. He got up and moved but I had enough done that I could finish it. 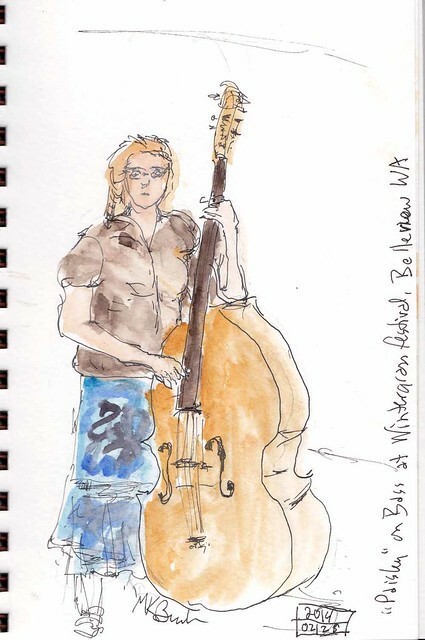 Bass player in a jam session.... just drew her. 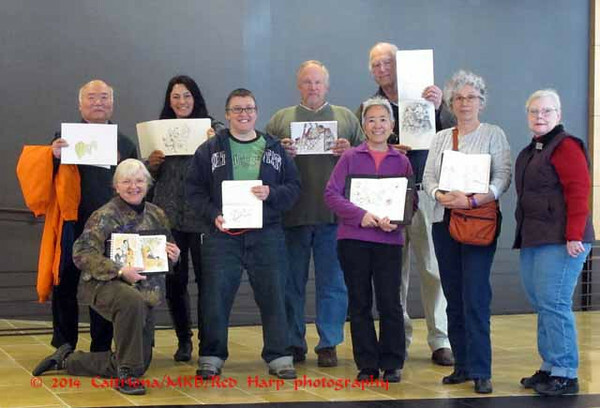 L to R: Gordon, me, Angie, Lynn, John, Tina, Francisco, Rachel, Wanda (a friend of mine visiting from Portland). Angie and her father, Francisco, were new today! Welcome!